Artistically gifted and politically shrewd, she shapes her husband’s rise in Parliament and her young son’s difficult passage through boyhood. But as the family’s influence soars, scandals explode and tragedy befalls the Churchills. Jennie is inescapably drawn to the brilliant and seductive Count Charles Kinsky—diplomat, skilled horse-racer, deeply passionate lover. Their impossible affair only intensifies as Randolph Churchill’s sanity frays, and Jennie—a woman whose every move on the public stage is judged—must walk a tightrope between duty and desire. Forced to decide where her heart truly belongs, Jennie risks everything—even her son—and disrupts lives, including her own, on both sides of the Atlantic. 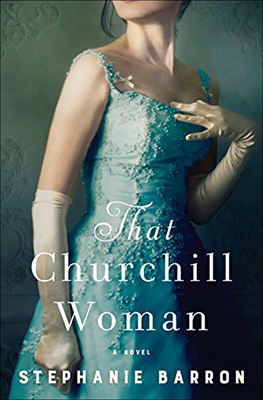 Breathing new life into Jennie’s legacy and the gilded world over which she reigned, That Churchill Woman paints a portrait of the difficult—and sometimes impossible—balance between love, freedom, and obligation, while capturing the spirit of an unforgettable woman, one who altered the course of history. Six decades after Virginia Woolf’s death, landscape designer Jo Bellamy has come to Sissinghurst Castle for two reasons: to study the celebrated White Garden created by Woolf’s lover, Vita Sackville-West, and to recover from the devastating wound of her grandfather’s unexplained suicide. In the shadow of one of England’s most famous castles, Jo makes a shocking find: Woolf’s last diary, its first entry dated the day after she allegedly killed herself. If authenticated, Jo’s discovery could shatter everything historians believe about Woolf’s final hours. 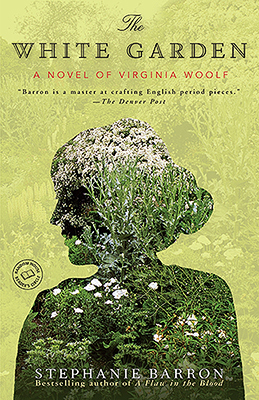 But when the Woolf diary is suddenly stolen, Jo’s quest to uncover the truth will lead her on a perilous journey into the tumultuous inner life of a literary icon—whose connection to the White Garden ultimately proved devastating. Rich with historical detail, The White Garden is an enthralling novel of literary suspense that explores the many ways the past haunts the present—and the dark secrets that lurk beneath the surface of the most carefully tended garden. 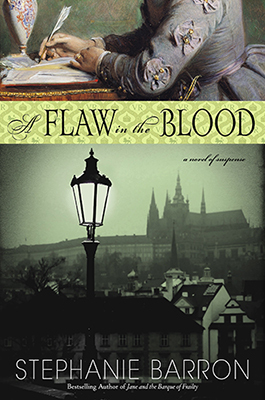 The acclaimed author of the bestselling Jane Austen mysteries brings rich historical immediacy to an enthralling new suspense novel centered around Queen Victoria’s troubled court… and a secret so dangerous, it could topple thrones.